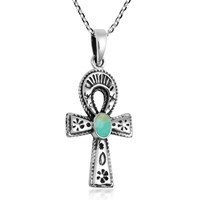 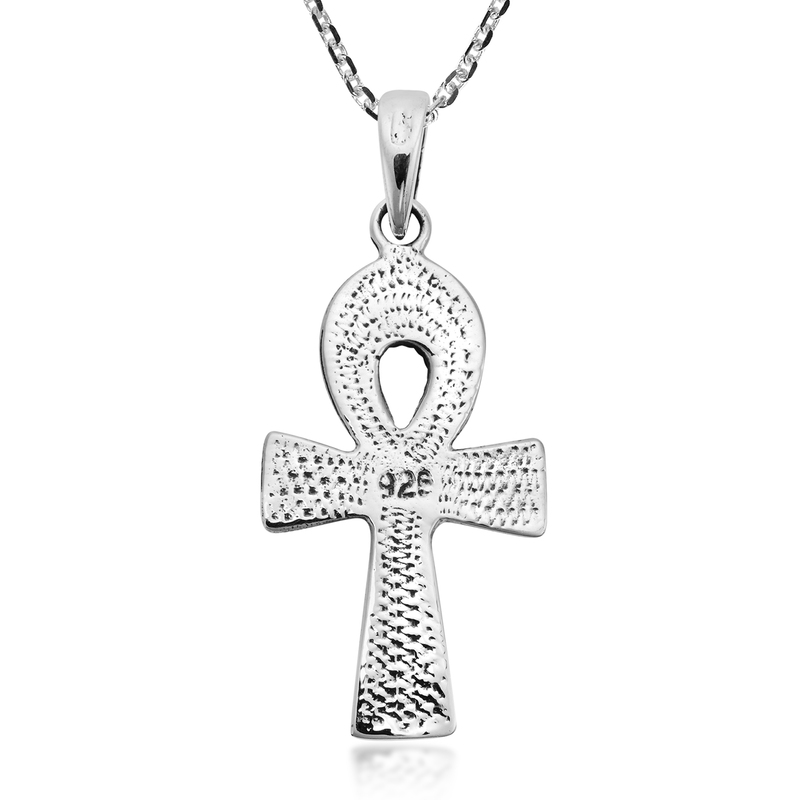 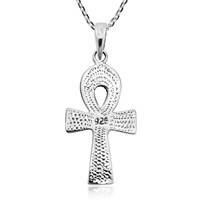 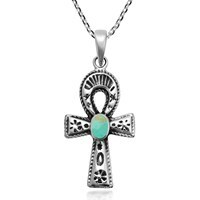 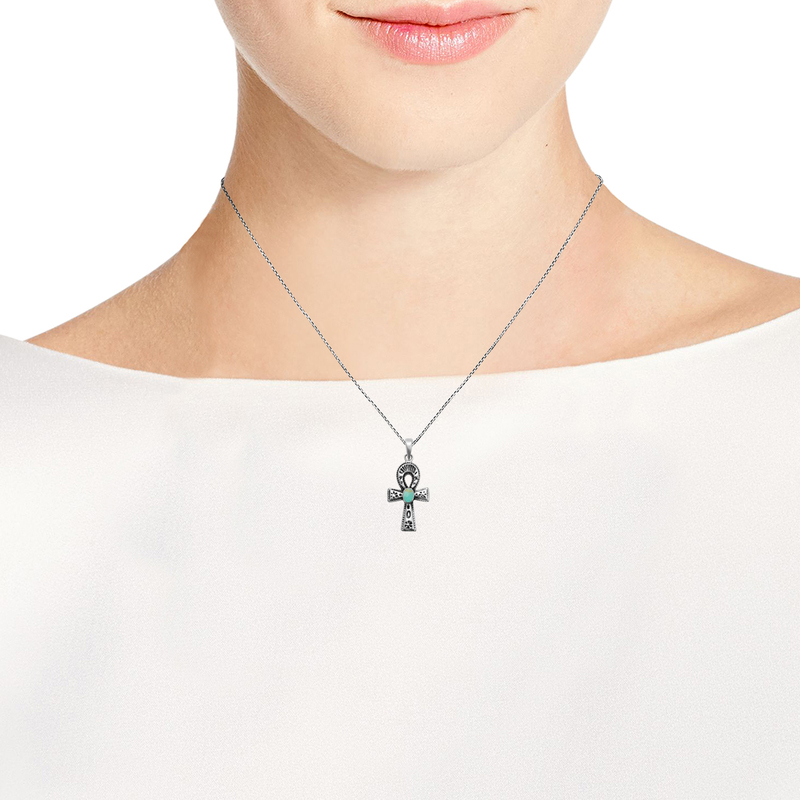 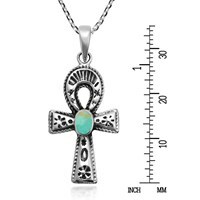 This cool and stylish necklace features the Ancient Egyptian hieroglyph, the Ankh, which represents the gift of eternal life given to man as a gift from the Gods. 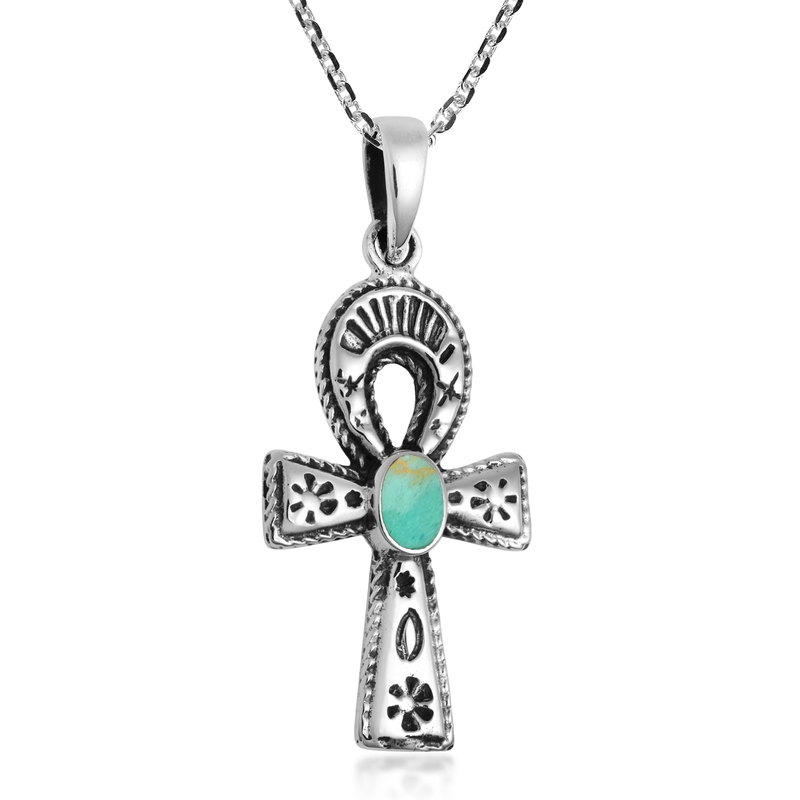 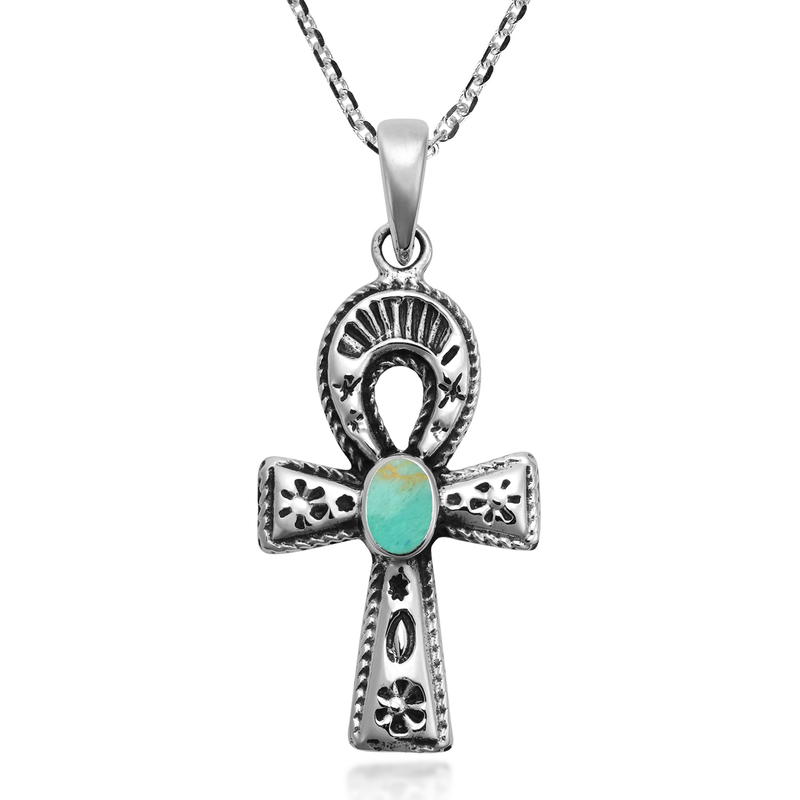 Embellished with unique and detailed ornaments, this unique pendant is then accented with a colorful stone inlay. 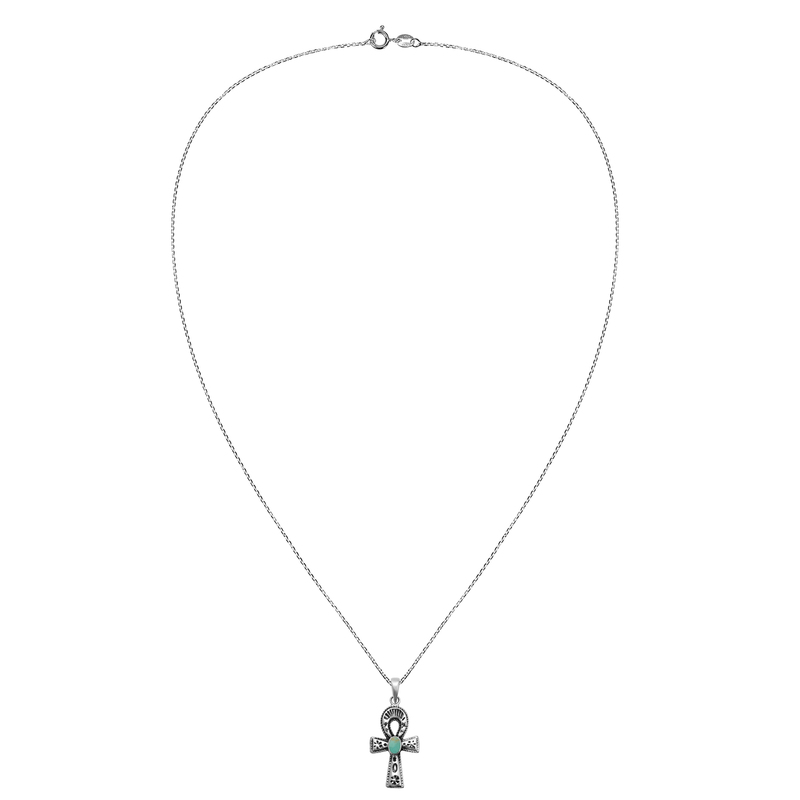 Handcrafted by Thai artisan Goong using the finest sterling silver, this pendant is then set on a sterling silver cable chain that measures 18 inches long. 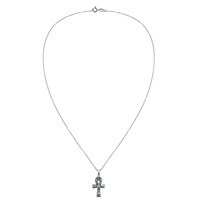 Perfect for all styles and outfits, this versatile necklace will look great with whatever you are wearing. 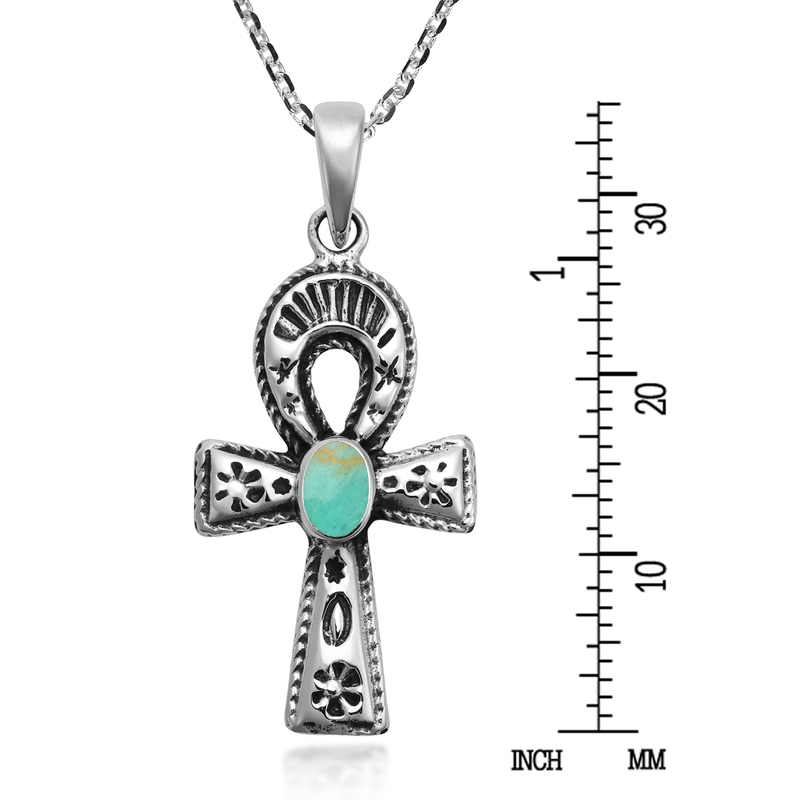 This style comes in a variety of colors and stones to choose from, feel free to check out more designs via our other listings.